His father, Harry Stockwell, was a longtime stage actor who starred in Oklahoma on Broadway, and voiced Prince Charming in Walt Disney's Snow White and the Seven Dwarfs. 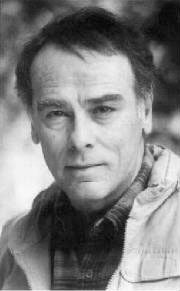 His mother was a vaudeville-era actress who gave up performing after marriage, but always loved the stage, and took her sons to an audition on Broadway in 1943, where 7-year-old Dean Stockwell and his younger brother Guy were both cast in The Innocent Voyage. Performing the play one night, Dean's reading of his big line "I won't be damned" caught the attention of a talent scout in the audience. Within weeks he was working on radio, and within months he was in movies, first as the son of Jessica Tandy and Gregory Peck in The Valley of Decision, then as Kathryn Grayson's nephew in the dance-with-the-mouse musical Anchors Aweigh with Frank Sinatra and Gene Kelly. He had a rare knack for seeming like a genuine kid while delivering scripted lines on camera, so young Stockwell became MGM's go-to kid in almost two dozen movies over the next several years. His best films as a child include The Boy with Green Hair with Pat O'Brien and Robert Ryan and The Secret Garden with Margaret O'Brien. But when he finished high school, young Stockwell walked away from Hollywood, enrolled at U-Cal Berkeley, dropped out after two semesters and spent several years as a drifter. He has said that to avoid being the military draft, "I took drugs, pretended I was a fag". He worked as a spike driver on the railroad, as a baker's helper, and as a prune inspector. In his early 20s, Stockwell returned to show business, playing a wild cowboy in Gun for a Coward with Fred MacMurray, and the younger son in the dysfunctional family classic Long Day's Journey into Night with Katharine Hepburn as his morphine-addicted mother He had a recurring TV role as a young doctor under the tutelage of Richard Chamberlain's Dr Kildare. And then Stockwell disappeared again, living a bohemian lifestyle in San Francisco's Haight-Ashbury, where he did plenty of drugs and was frequently spotted with Allen Ginsberg. In the late 1960s he dated Toni Basil, who went on to fame singing "Oh Mickey, you're so fine," and he formed a close friendship with rock singer Neil Young, even creating the cover art for Young's album American Stars'n'Bars. Stockwell came home to Hollywood in 1968, playing the attic-dwelling mystery man in the drug-addled Psych-Out with Jack Nicholson and Bruce Dern. With only occasional disappearances he has worked steadily in films and television ever since. He played Harry Dean Stanton's brother in Paris, Texas, the deranged maniac at the heart of Blue Velvet with Kyle MacLachlan and Dennis Hopper, the Mafia boss in Married to the Mob with Michelle Pfeiffer, and the producer in Robert Altman's The Player. On TV, he played the cigar-chomping hologram alongside Scott Bakula in TV's Quantum Leap, and had recurring roles on JAG and the new improved Battlestar Galactica. His first wife was actress Millie Perkins, best known for the title role in the 1959 adaptation of The Diary of Anne Frank with Joseph Schildkraut and Shelley Winters. She also played William Devane's estranged spouse on Knots Landing and Charlie Sheen's mother in Wall Street. Stockwell's brother, Guy Stockwell, played the first mate on the early 1960s merchant marine show Adventures in Paradise, and he was a regular in the mid-60s TV anthology The Richard Boone Show. In Alejandro Jodorowsky's neglected masterpiece Santa Sangre, Guy Stockwell played the obese knife-throwing circus owner who slices his wife's arms off in front of their son. Cattle Drive (8-Aug-1951) · Chester Graham, Jr.
Song of the Thin Man (28-Aug-1947) · Nick Charles, Jr.